In the information age, data represents the lifeblood of an organisation. 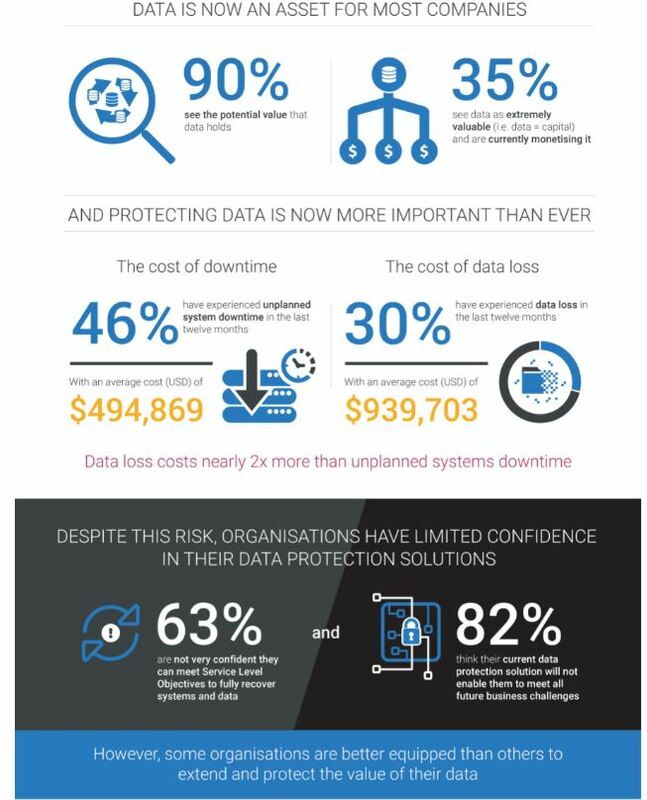 Any form of data corruption, loss or disruption can result in catastrophic consequences but ironically, after the initial outlay to establish the means to collect, store and collate data, many companies put it by the wayside and fail to see that it is an ongoing, constant commitment to ensure that trove of data remains safe and protected both in the present and the future. 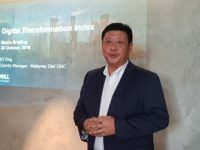 According to the latest Dell EMC Global Data Protection Index, 80% of organisations in the Asia Pacific region and Japan have suffered some form of data disruption and one third of these organisations have suffered permanent data loss incidents in the last year. 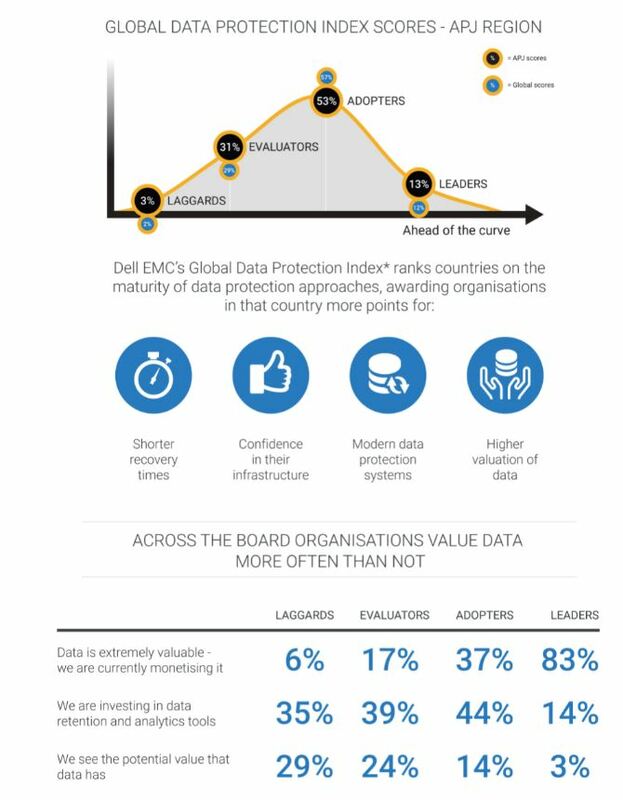 For the uninitiated, the Dell EMC Global Data Protection Index which is done in collaboration with Vanson Bourne surveys 2,200 IT decision makers from both public and private enterprises with 250+ employees across 18 countries and 11 industries in the Asia Pacific region and Japan to reveal the state of data protection. The index reveals other more interesting gems. The average amount of data managed in organisations has skyrocketed. In 2016, organisations on average managed about 1.68 petabytes (PB) of data. In 2018, organisations managed, on average, 8.13PB. This data is a veritable treasure trove of information, with 35% of organisations already monetising their data and 9 out of 10 businesses recognising its value. 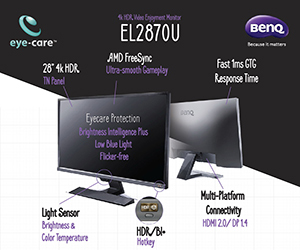 Losing data or incurring downtime isn’t a minor bungle – it’s a financial catastrophe. 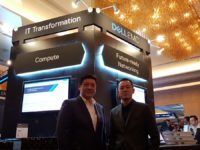 On average, these organisations also experienced about 20 hours of unplanned for system downtime within the last year which costs businesses US$494,869 which is a staggering RM2,036,138 in Malaysia ringgit. 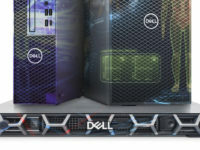 Companies that lost data, lost on average 2.04 terabytes which comes with a price tag of US$939703. In local currency, it’s a close to nightmarish RM3,8 million smackeroos down the drain. The numbers are more chilling. Over 80% of respondents experienced some type of disruption in the past year of which 32% were unable to recover their data using their existing solutions. 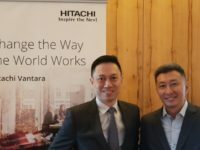 This is further complicated with the host of emerging technologies that are becoming the mainstay of large enterprises, each of which represents a unique challenge to both implement and protect such as artificial intelligence, machine learning, the Internet of Things and cloud-native applications but their potential benefits and impact to organisations is undeniable. Businesses are facing numerous challenges in picking the right infrastructure and measures to implement when encountering the growing tidal wave of data and the adoption of the aforementioned emerging technologies into their organisation. Almost all (94%) encountered at least one barrier in relation to data protection and only 18% of respondents believe that current data protection solutions will be able to meet all future business challenges. Yet, close to 43.4% were unable to find suitable data protection for emerging technologies with more than half (54%) unable to find data protection solutions to defend their artificial intelligence and machine learning data, with cloud-native applications (49%) and IoT (40%). “Emerging technologies, powered by data, are beginning to yield very real business benefits for this region. Organisations looking to accelerate their digital transformation must look to enable and protect their data as it moves across their network – from the edge, to their core business, right through to their cloud. Companies’ data strategies are becoming increasingly more complex as they work to meet the data management, governance, security and accessibility requirements across a multi-cloud infrastructure, off and on premise, private and public cloud. Challenges aside, the insights and data monetisation opportunities are infinite for organisations ready to transform,” added Lei.